America’s model of representational government rests on the premise that elected officials respond to the opinions of citizens. This is a myth, however, not a reality, according to James N. Druckman and Lawrence R. Jacobs. In Who Governs?, Druckman and Jacobs combine existing research with novel data from US presidential archives to show that presidents make policy by largely ignoring the views of most citizens in favor of affluent and well-connected political insiders. Presidents treat the public as pliable, priming it to focus on personality traits and often ignoring it on policies that fail to become salient. Melding big debates about democratic theory with existing research on American politics and innovative use of the archives of three modern presidents—Johnson, Nixon, and Reagan—Druckman and Jacobs deploy lively and insightful analysis to show that the conventional model of representative democracy bears little resemblance to the actual practice of American politics. The authors conclude by arguing that polyarchy and the promotion of accelerated citizen mobilization and elite competition can improve democratic responsiveness. An incisive study of American politics and the flaws of representative government, this book will be warmly welcomed by readers interested in US politics, public opinion, democratic theory, and the fecklessness of American leadership and decision-making. "This fascinating study, based on confidential documents from three US presidents, sheds new light on the relationship between America’s political elites and its citizens. The picture is not pretty: presidents of both political parties seek to manipulate, distract, and often mislead the public in their pursuit of narrow interests that do not benefit the majority of citizens. A compelling, important, and sobering account that underscores just how far America has drifted from the democratic ideal of a government of, by, and for the people." "Just how responsive is the president to the public? In theory, we all hope very, but increasingly we worry that presidents have grown more distant from the wishes of the public. 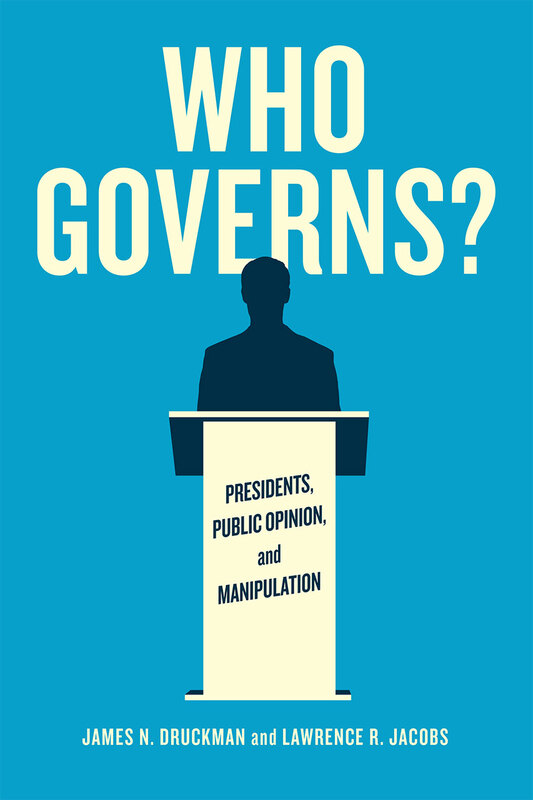 In Who Governs?, we get an empirical answer to that question that is at once novel and also deeply disturbing."